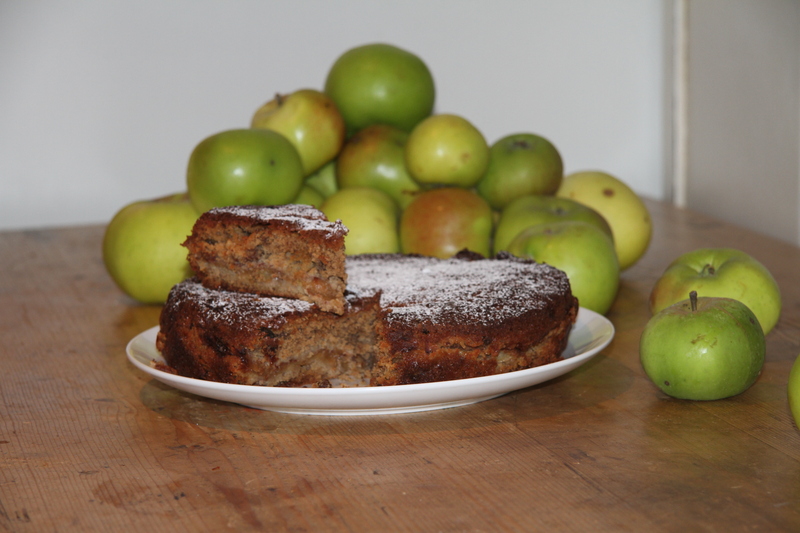 Helloooooo – Myfanwy here, it’s week one and as my lovely Aunty Fi gave us lots of cooking apples I have decided to make an apple cake. I’m going to use Mary Berry’s Apple & Cinnamon cake recipe which my Mami made and it was lush so hopefully mine will be even better! Pop back on Tuesday to see the results but it would be even more fun if you were to bake your own apple cake and post it on my blog and we can work out who’s cake is the best. Whey hey – I’ve baked my first blog and posted a picture of my finished cake. It didn’t rise like my Mam’s usually does so I need to work out what I’ve done wrong but it still tastes yummy especially warmed up and with ice-cream. Pop by tomorrow to find out what this weeks challenge is going to be and remember you can bake along with me and post your creations on my blog.